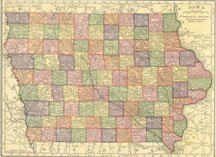 The Iowa Tourism Office is actually promoting independent bookstores and feature a list of them on its web site. hmm i wonder if that includes antiquarian bookshops? BTW The Guild of Book Workers Library is housed in the Special Collections Department of the University of Iowa‘s Main Library. UI also is home to the Center for the Book. horns of the bull – NYT reports on Google Book Search’s violating of just about everyone’s copyrights. tracking device – The new Book Sales Research Service, offers look-ups for single titles for weekly and year-to-date sales figures for any edition of any new book from January 2004 to present. giving till it hurts Andrei Codrescu gave his Romanian collection to the rare books department at University of Illinois at UC Library. party – The first inaugural Book Lover’s Ball was held last week in support of the Toronto Public Library and was a great success. video (9 minute) “David Rakoff and Dave Hill go on a book tour” – video mockumentary about author and This American Life contributor David Rakoff’s publicity tour for his new book Don’t Get Too Comfortable. 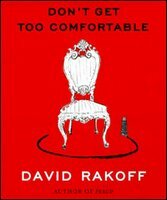 (which is particularly funny, i recommend it on audio) audio – Here’s an NPR interview with David Rakoff about this book. video (1 minute) of Michael Moorcock talking about Gloriana at the Dark Carnival Book Signing in 2004.
horror tale – The NYT reports on prep schools for basketball players, where the education part is just wishful thinking. biz suits – Dan Brown and the Holy Blood Holy Grail. Yes, they are still trying to get Dan Brown to admit he hasn’t had an original idea in years. But then again who has? bookbiz – Ibooks Inc. and Byron Preiss Visual Publications filed for bancruptcy. added event OR – The second Wordstock Festival will take place April 21 through 23. Ira Glass, Gore Vidal, Joyce Carol Oates, Dave Eggers, John Grogan are among the authors who will appear. banktoaster – fairly large state map scans from the 1910 C. S. Hammond & Company Atlas. BTW On this is day in 1956, Sylvia Plath meets her future husband, Ted Hughes, at a party in Cambridge, Massachusetts. The two poets fell in love at first sight and married four months later. Did you know? – Turin is the 2006 World Book Capital City? neither did I.
i can see for piles and piles. . .